It’ll be a night of original sketch comedy inspired by Minnesota politics, improv with some special political guests, and music throughout the show from Minneapolis’s premiere source of pop jams for your feelings about laws, City Counselor. Not to mention multiple surprise appearances you won’t want to miss. Hosted by Tane Danger of the Theater of Public Policy, Minnesota’s favorite, most successful, and coincidentally only civics-inspired comedy company. 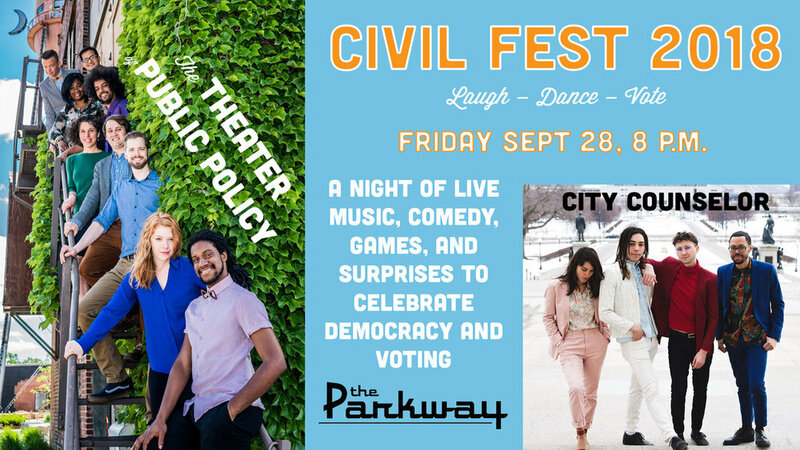 See brand new original sketch comedy, Minnesota musical parodies, and unscripted hilarity from the Theater of Public Policy, unlike anything you will see anywhere else this campaign season. It’s been a long election season. We deserve a laugh.